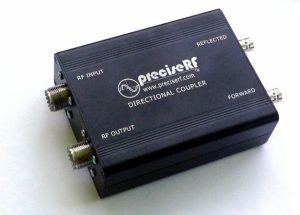 The DDC545 dual directional coupler was designed for the DPM6000 Power Meter. It measures forward and reflected power of a device in a 50 ohm environment. 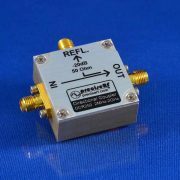 The RF INPUT port connects to the HF signal source such as a transmitter. 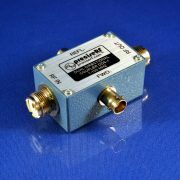 This source is normally the transmitter and or linear HF amplifier. 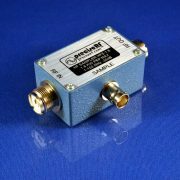 The RF OUTPUT connects to a 50 ohm load. This load can be a transmission line, antenna, or a dummy load. When the load completely absorbs the energy from the signal source, little if any power is reflected, thus, the signal output from the REFL port is very low. 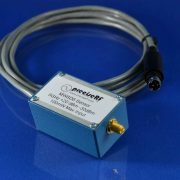 The signal out of the FWD port indicates the amount of power (– 45 dB) going to the load. See the application note for the DPM1A power meter for additional information. Be the first to review “DDC545 dual directional coupler -45dB” Click here to cancel reply.